At least one-fourth of people above the age of 65 fall every year. Most of these falls occur at homes and are primarily as a result of hazards around the house, reduced strength and reduced reaction time that comes with aging. At A Place at Home, we have a team of professionals who help you prevent these falls. 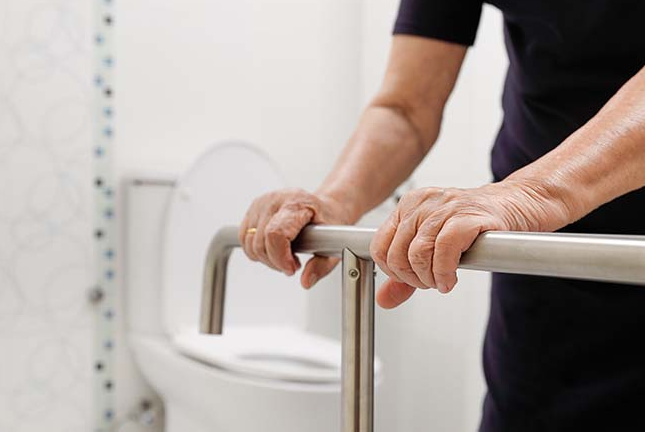 These tips ensure seniors are safe, independent and also help them avoid the health complications that may come with the falls. Below are five tested and proven tips that help to prevent falls in seniors’ homes. This entails keeping the house clutter-free and transferring benches, chairs or anything else from hallways and the stairs. It may also be clearing the house of any tripping hazards such as uneven floors, throw rugs and electrical cords and wires. Switching patterned or striped rags to the ones with solid colors improve depth perception hence aiding fall prevention. We highly recommend that homes be slip-proofed to minimize the risks of falling. This takes into account; keeping floors dry, repairing cracks, ensuring seniors shoes are light to maintain balance and help them feel where they step so they can react better to hazardous situations. Slip-proofing the bathrooms using slip-resistant mats, shower, and tub benches are is also very important. These can be used to help seniors maintain their balance and independence as they move around the house. Handrails, electric beds, non-slip stairs as well as shower seats are great assistants to seniors. Electric beds are great as they make getting in and out of bed more comfortable and maintain a lower sleeping position. By understanding the risks posed by some medications, we can help seniors prepare better and avoid falling in their homes. Apart from medication side effects, we advise eye check-ups that will tell of an impending vision problem that may increase the chances of falling. We suggest rearranging the house to ensure that our clients have all they need at proximity. Moving their bedrooms from the upper level to the main floor is an effective way of preventing a senior from falling on the stairs. At A Place at Home, we recommend the above tips to aid fall prevention among seniors. Good lighting around the home, and staying active to improve muscle tone and strength are also very useful.